Jesse Reyes, 68, beloved husband of the late Sheila nee Rothman for 30 years; loving father of Joshua Reyes (Fiancee Kaley Relaz), Jonathan (Mary) Reyes and Julian Rodriguez; dear brother of Lalo, Gloria, Lupe, Dolores and Olivia; many loving nieces and nephews. 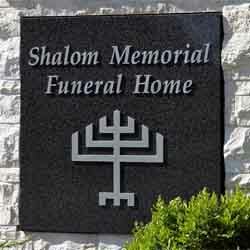 Chapel service, Tuesday 10 AM at Shalom Memorial Funeral Home, 1700 W. Rand Road, Arlington Heights. Interment Shalom Memorial Park. In lieu of flowers, memorials may be made to the National Multiple Sclerosis Society. For information or to leave condolences, (847) 255-3520 or www.shalom2.com. When I think of Jesse, I hear his amazing laugh and see his big smile. Heartfelt condolences and hugs to the Reyes Family. Especially Josh and Jon. Jessie and Sheila were the first friends we made when we moved to Skokie. A cute little Josh was the conduit through which we first spoke to each other and it blossomed from there. It is a friendship that will continue through Josh/Jon and the families that they will have. We were blessed to have known them. Sheila, Jesse and I had many fun times together! Jesse had a great sense of humor as did Sheila. Once Jesse was playing tug of war with their sweet dog, Milo. Jesse picked Milo up with the toy he was tugging on and said, “look, he’s a piñata!” Thanks for making us laugh Jesse! You will be missed! My deepest sympathies to Josh and Jon and the whole family. I saw this pictured shared by Jonathan on FB and just thought it was a lovely photo of Sheila and Jessie. I am deeply sorry to hear about the sudden passing of Mr. Reyes. Jesse was a good, father and friend. Sheila is wife now deceased loved him very much. He made the best Kishke. He has 2 sons, Josh and Jon that grew up to be good men. Jesse and Sheila were/are very proud of them. May God remember the soul of Jesse Reyes who has passed to eternal rest. O God, I pray that you will keep the soul of my dear______________ united with us in the bond of life. In his/her memory, guide me so that I will live righteously, fulfilling Your will and serving our people. May his/her soul rest in peace and be remembered as a blessing. O God, as I remember, Jesse Reyes I pray that I may emulate all that was good and righteous in his/her life. May his/her soul be given eternal life and his/her memory always remain a comfort and source of inspiration. A link has been broken in the chain that has bound us together, yet strong bonds of home and love hold us each to the other and we give thanks for the blessing of life, of companionship, and of memory.